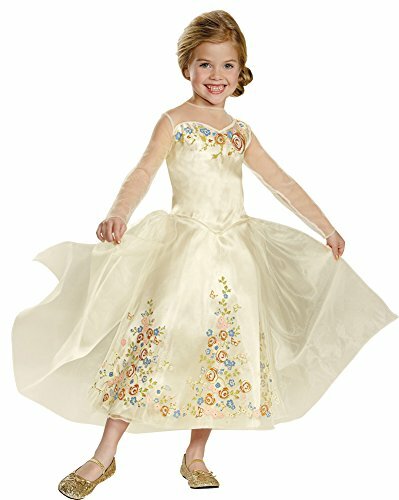 Cinderella Wedding Dress Toddler Costume 3T-4T : From the fabulous new Disney Cinderella movie! Magical cream-colored dress has sheer shoulders and sleeves, lovely embroidered floral accents, and a full skirt with more flowers. Be a perfect fairytale bride in this wonderful gown! Toddlers fits sizes 3T-4T. If you have any questions about this product by BESTPR1CE, contact us by completing and submitting the form below. If you are looking for a specif part number, please include it with your message. Royal King Crowns Tiaras High 2.36"